Microsoft Outlook is undoubted the one of the most powerful desktop email client, but you cannot have multiple copies of Outlook running at the same time connected to two different servers. What we mean is not multiple profiles, but two separate instances running concurrently, each with their own associated profile. 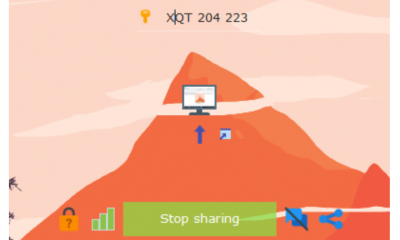 This can be achieved using Extra Outlook, a freeware which allows you to run multiple versions of Outlook each connected to two different servers. Under normal case whenever you launch another instance of Outlook.exe, it first checks if there is an existing Outlook.exe running and this is the reason why multiple instances are not possible. This tool actually modifies the Outlook executable and causes Outlook to not check to see if another Outlook is running. To use this application, you will need to create multiple profiles in Outlook. Install Extra Outlook and then from command line you can call another instance of Outlook using the command – extraoutlook.exe “C:\Program Files\Microsoft Office\Office12\outlook.exe” assuming that Outlook.exe is installed in the given location. This will prompt you to select the Outlook profile you want to load. With this application you can have one instance of Outlook connecting to your business mail and another one using your personal mail. Important: This application modifies the Outlook files, so if you are not comfortable with that, please do not install it. Moreover if you have install plugins like Xobni, it might have issues loading, so use it at your own risk. You had a mention about the plugin XOBNI. Is it apparently required for proper functioning of Extra Outlook or is there no relation between both of them? Also, I dont see any 2nd instance opening up though I have followed the above instructions. Could you please guide me through please? Just want to stay in sync with this because I need Extra Outlook so badly. 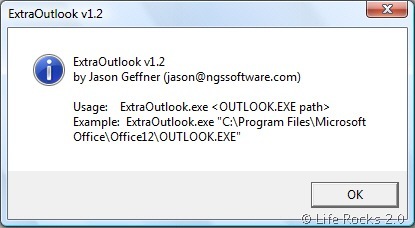 FYI, ExtraOutlooks does *not* modify any Outlook files. Will this run under Windows 7? Bharadwaj, I believe he was saying Xobni can interfere with the operation of ExtraOutlook. I am running Xobni, and ExtraOutlook isn’t working. I’m not saying Xobni is the cause, just saying my experience. Can anyone confirm if this runs on Windows 7? It’s doesnt modifies any outlook file. It fools the exe into thinking there’s not a intance of Outlook already running. Yes, it works on Windows 7. But I can start the 2nd profile on the 1st instance of Outlook without any problems. Anyone encountered this problem as well? I have managed to resolve this issue. The path in the ExtraOutlook.bat file must be the full path name. i.e. “C:\Program Files\Microsoft Office\Office12\Outlook.exe”. @Frank @Richard I’m currently using this on Windows 7 Pro 64bits. When I open the 2nd outlook profile, it automatically opens the same one and does not give the chance to select a different profile? Thanks but I’ve already checked that and have the setting correct to prompt for a profile. I’ve now set up 2 profiles and have to close one outlook profile to open another, which is not ideal. This is basically calling the extraoutlook first then the outlook. It worked at my Win7. when I minimised both the windows, I could NOT get them back …. I COULD get back only one of them; however still had 2 instances of OUTLOOK.exe in Task manager. Make sure you use the lastest version which supports the input of profilenames. 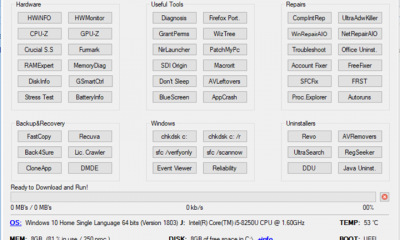 Is there still support for this Tools. It has saved the day in my organization. However even thought it allows you have multiple Outlooks open it currently only provides the first Outlook session with the VBA/Macro Utility… Is there a way to get mulitiple sessions of the MS VB? Possible Work around: Is is possible to have one macro run against another session? I am using Windows 2007 with Office 2010. Work great for me in Outlook 2007 / Windows 7. Couple of errors about non-essential add-ins I’ll live with, but it seems to be working flawlessly. Saved my life and got me out of OWA 2003 hell with my second account. This is a fabulous program, I’ve been using it for 2-3 years, but beware if you use MS Publisher with outlook for mail merges. When two profilies are open using Extraoutlook, it does not always choose the correct one (i.e. the emails can end up in the outbo of the wrong profile!). You can’t blame Microsoft for this – they designed it thinking only one profile could be open at a time. But Extraoutlook is still a fantastic piece of software. “can’t blame Microsoft” You’re kidding, right? WTF were they thinking assuming that no one would ever have more than one exchange account? WTF were they thinking that no one would ever want more than one Outlook window open at a time? WTF is wrong with them that they create such great software, and then hobble it with senseless restrictions. I mean really, WTF? Oh wait, I know! They were thinking that if you really wanted two instances of Outlook at the same time, you’d go out, buy another computer, and, wait for it, buy another copy of Windows and Office to go with. 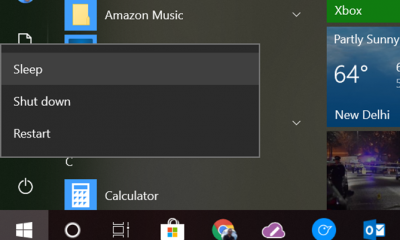 Microsoft FTW!